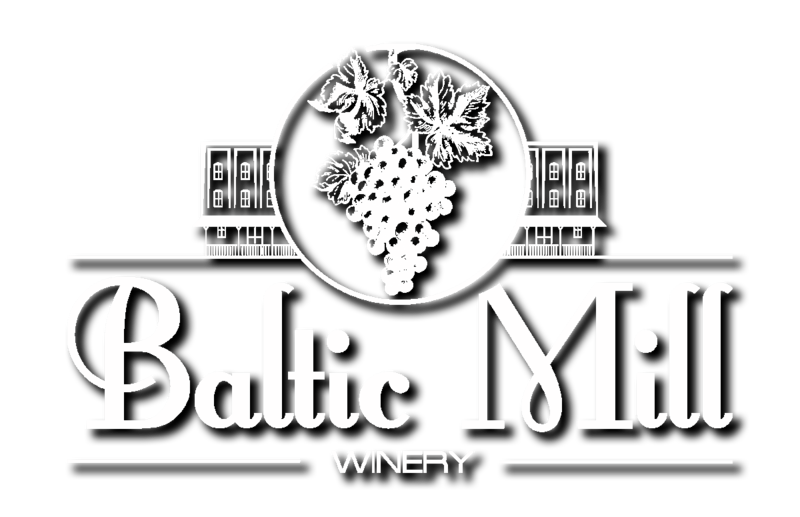 The Baltic Mill started milling flour in the mid-1800’s and at one time, was Ohio's largest flour mill using the newly built railroad to bring in grain and ship out flour and meal. In 1908 our building was quickly erected to replace the original 1850's frame building that was totally lost to a fire in 1907. Our current building is a three story brick and timber framed building. The craftsmanship on the massive timber posts and beams is amazing. Even more amazing is that this building with three foot thick walls, three floors, and a basement was erected within six months. 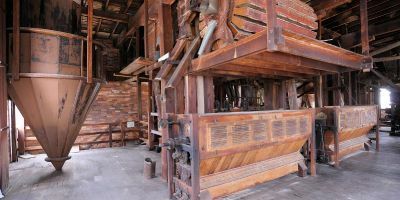 Within the structure many of the original pieces of milling machinery still exist along with the many elevators and chutes that transported the grain and flour from floor to floor during the milling process. We have tried to incorporate many of these original features in the décor of our winery. The heart of the mill is a massive Russell Steam Engine with a 5 foot diameter flywheel. This single engine provided power to all three floors and the basement through the use of one or more overhead shafts running the length of the building. The steam engine can still be seen upon request as well as the milling equipment on the second and third floors. So come in, look around as you sip your wine, and marvel at this historic building!